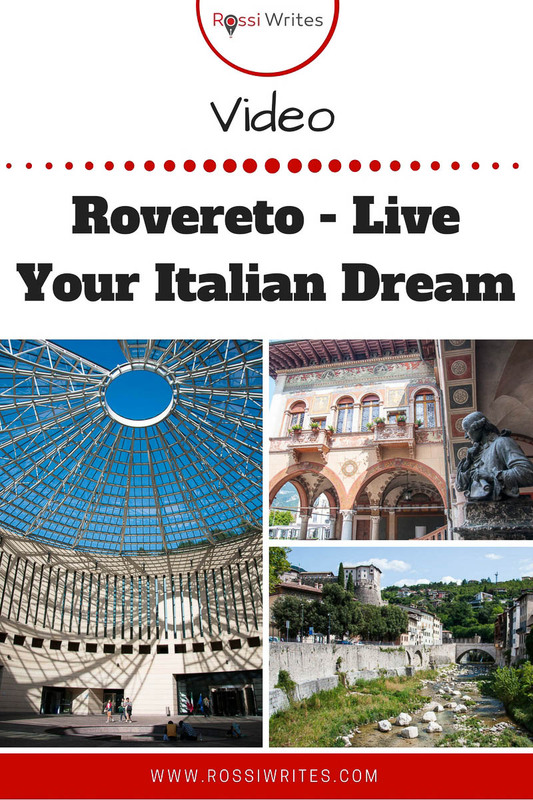 Rovereto is a picturesque city in the Northern Italian region of Trentino. the Italian War History Museum is housed in a medieval castle. I visited Rovereto at the end of August this year and I have been thinking and reminiscing about it ever since. Straight after my visit, I wrote this article about the city, showcasing its beauty and its points of interest. Rovereto was my top choice for a subject matter. In just over a minute, I have tried to show you the most important things which make this city so special and so worth it of a visit when you are in Italy. Definitely delve deeper though, as there is so much more to see and enjoy there (without the suffocating crowds which besiege the more well-known Italian cities). Watch the video now and let me know what you think! As this is my very first proper travel video and as I taught myself how to do it, I am sure there is a large margin for improvement. So, any feedback will be appreciated. Feel free to share the video with your friends and social media contacts. I would be really chuffed if it reaches as many people as possible. Ta! Thank you for reading and watching! Please, leave me a comment, pin the image below or use the buttons right at the end to share it on social media. Copyright Notice: The soundtrack of the video is Mozart’s Divertimento in F major, K.138/125c beautifully performed by Das Orchester Tsumugi and downloaded from MusOpen. This work is licensed under a Creative Commons Attribution 3.0 Unported License.